Brookes: "For some reason the guys I’m against have lifted their game"
After a third and fifth in the first round of the 2013 British Superbike Championship, Aussie and last year’s runner-up, Josh Brookes has expressed a degree of discontent with the results he achieved, despite having ideal bike settings to work with. Brookes qualified in 4th for the first race, of which he led for nearly ten laps, before he was passed by Shane Byrne, who went on to win it. He then slipped back into third after being overtaken by Samsung Honda’s Alex Lowes. 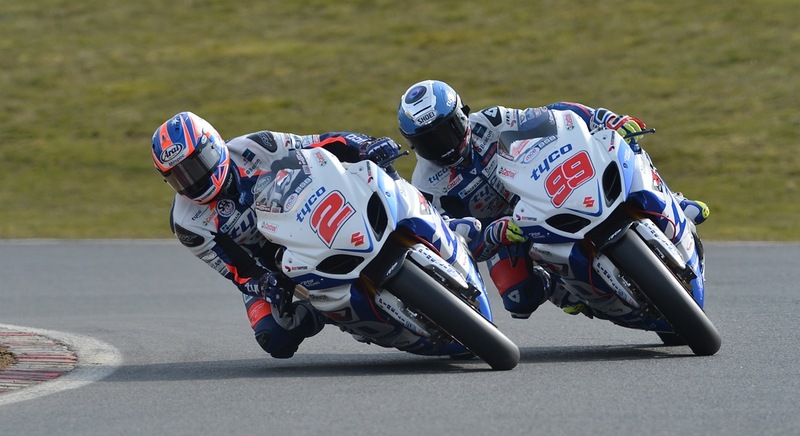 Race two saw a fierce battle for the first several laps between Brookes, and the Honda duo of Lowes and Kiyonari. But before long the pair broke away from the Suzuki rider, leaving him in a lonely 5th place for the remainder of the race. His team mate, New-Yorker, PJ Jacobsen had a satisfying and progressive weekend in his BSB debut. The American did a few wildcard rounds towards the end of last season in Supersport and Superstock, which saw him bag a win in Superstock at Donington Park, and a Supersport win in Assen. The 19 year old is fairly happy with his performance this weekend, along with the results (9th and 12th), given he was punted wide heading into the first corner of race two. “It was pretty good (the weekend), I was happy with my first race for sure, everything went pretty smooth. I was just being, not cautious, but I didn’t really know what to expect on the Superbike for the first time, and thirty laps… it was all new to me. I ended up getting ninth so that’s not too bad. The second race was also pretty good, but I got hit into turn one and lost a lot of positions going up the hill. So yeah, that was a bit of a bummer… it sucked, but other than that everything was good, my pace was better in the second race than the first. We’re slowly progressing and we’ll be ready to go for Thruxton next weekend.” Said PJ, talking with PaddockChatter.com after Sunday’s races. Previous Previous post: Redding: "I wasn’t expecting to lead here"